As an admin, how do I receive notifications about my trip participants? 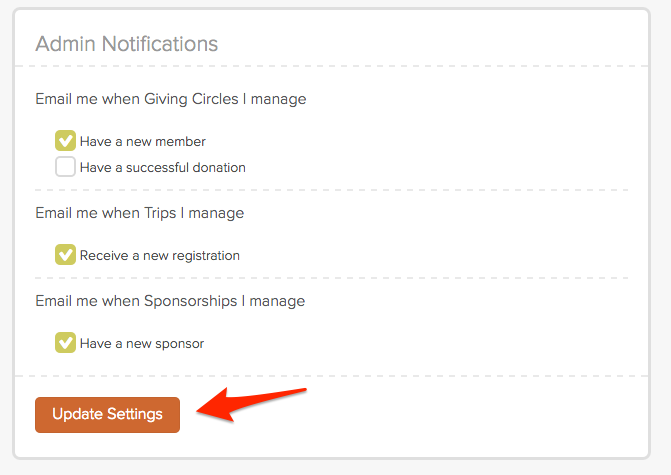 As an admin of a nonprofit, you are able to receive specific notifications about trips you manage. To turn on or off these notifications, follow the instructions below. 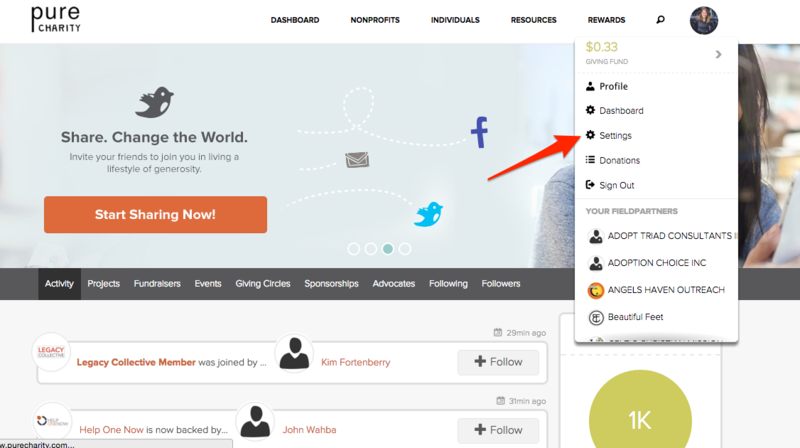 Step One: Hover your mouse over your Avatar located in the top right corner and click Settings. Step Two: Click Admin Notifications located in the column on the left. Step Three: Once you are on the Admin Notifications page, you will be able to check and uncheck and notifications you want to receive. Don't forget to push Update Settings to save! 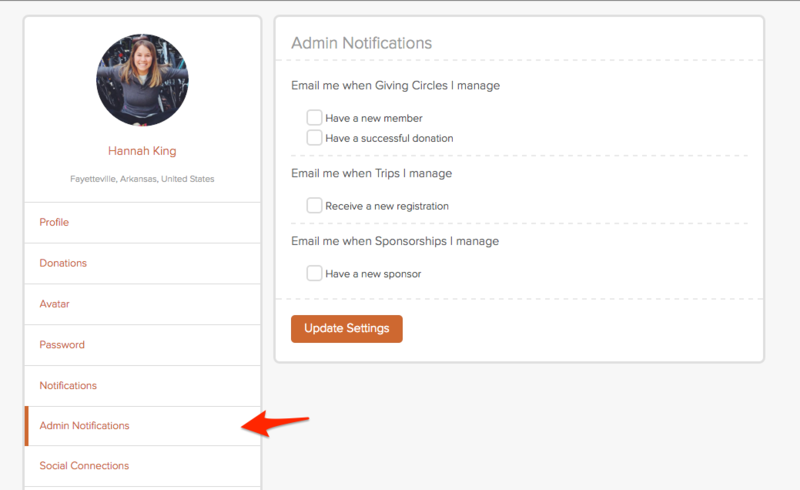 As an admin, how do I receive notifications about my sponsorship program?